THANK YOU AND HIGH FIVE! 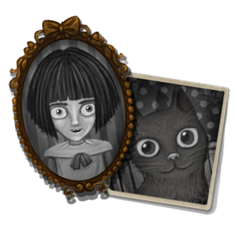 For everyone that has been part of the Fran Bow development journey, as a backer, emotional supporter, fanart artist, youtuber, reviewer and to everyone that believed in this project we THANK YOU forever! We couldn't find all your lovely names, but we thank you all!